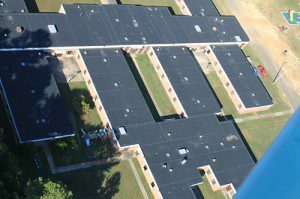 We offer roofing services for both commercial and residential properties in Atlanta, GA, Athens, GA, Rome, GA, Chattanooga, TN, Anniston, AL, Birmingham, AL, Fort Mill, Rock Hill, SC, Charlotte, Pineville, South Mecklenburg County, NC and surrounding areas. Here in the Atlanta, GA, Athens, GA, Rome, GA, Chattanooga, TN, Anniston, AL, Birmingham, AL, Fort Mill, Rock Hill, SC, Charlotte, Pineville, South Mecklenburg County, NC and surrounding areas, our team at Midian Roofing offers roofing services for both commercial and residential properties. If you are looking for residential roofing, we offer metal roofing and metal shingles, R-panels, real slate, single-ply, composite materials, and much more. For commercial clients, we provide TPO, PVC, built-up, mod-bit, single-ply, three-ply and four-ply, Duro-Last, and other options. With so many available materials to choose from, you can easily find the roof that you will love.